The pie that you can get away with serving for dinner. The girls and I feel that this is very similar to Deanna’s Pumpkin Pie, and since pumpkin pie is one of Brock’s least favorite foods, I wasn’t sure how this would go over. We all loved it. Borrowed from ‘Joy the Baker’s Cookbook’, by Joy Wilson, I cut down on the sugar and this may just be our answer to making only one dessert at Thanksgiving! – enjoy! 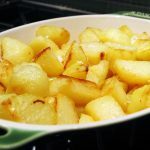 Place the mashed potato, brown sugar, spices, salt and HALF of the evaporated milk in a medium pot over low heat and cook and whisk for about 5 minutes until the mixture is well blended and bubbling. Remove the pot from the heat and allow it to cool. In a large bowl, whisk the eggs with a fork, add the remaining evaporated milk and vanilla and whisk until creamy, then add in the sweet potato mixture and whisk well. This can be made ahead and even covered and placed in the fridge overnight. When you’re ready to bake your pie, preheat the oven to 400 and roll out your crust as you would. Press it gently into the pie plate with enough overhang to make a good edge, and place the pie plate on a baking sheet. Pour the filling into the unbaked crust and bake for 10 minutes at 400, then add a crust protector or foil to the edges (or wait a while more and make sure you check so your edges don’t get too brown), and then bake at 325 for 50 to 60 minutes. 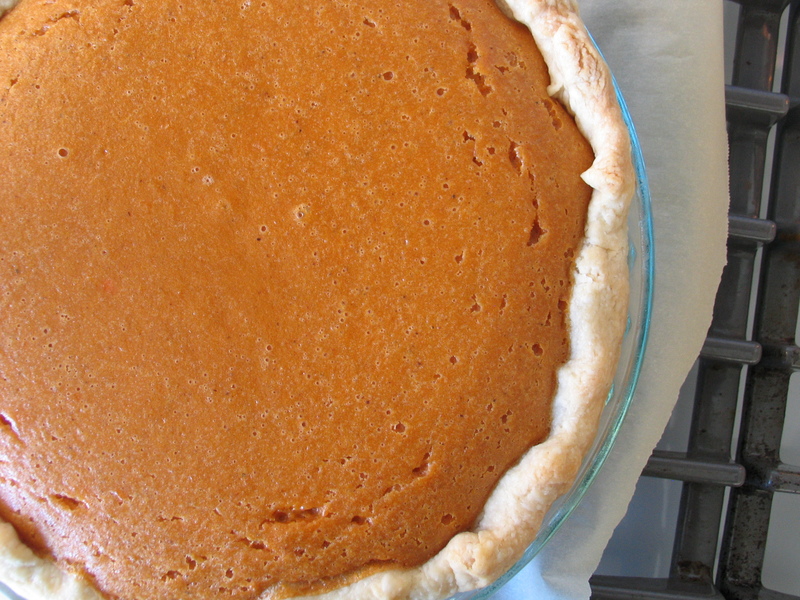 The center should be firm and set when you give the pie a gentle wiggle. Allow the pie to cool to room temperature before serving, we enjoyed ours with some barbecued sausage and a big spinach salad.